Meanwhile, there is an alternative and sassy way to manage wicking: Don’t allow it! 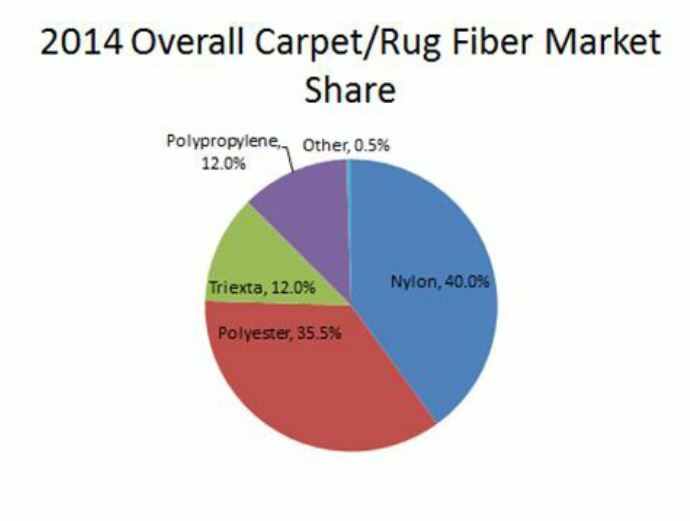 Wicking problems will increase as new, ultra-hydrophobic and oleophilic fibers gain market share. For instance, heavy soil is relatively easy to loosen or separate from polyester and its variations, but not easy to “control” once loosened. To prevent wicking in the first place, the trick is to “control” 100% of the soil immediately as it is separated from the carpet fibers during the cleaning process. The amount of liquid used isn’t necessarily the critical issue. Wicking can occur when removing a stubborn spot with a small amount of liquid. The #1 issue is the need to maintain instant “control” during cleaning of both the cleaning liquid and the loosened soil…to prevent it from running deeper down, and into, the yarns. Dry extraction (absorbent compound) systems use 97% less moisture than high-flow wet extractor systems. However, what makes the “Dry” technique curiously effective is its instant absorbing/adsorbing of soil and liquid while they function together during the cleaning process. The liquefied soil is “not allowed” to escape deeper. Hence, no wicking later. Wet extraction technology, in a heavily soiled context, effectively loosens or separates the soil…perhaps “too” quickly… and under pressure. Its powerful vacuuming function is almost simultaneous, but not quite. That’s the moment where “loss of control” of liquefied soil takes place, and wicking can raise its costly head… particularly on ultra-hydrophobic carpet fibers which otherwise “give up” soil relatively easily. What an irony. Solving the wicking challenge on heavily soiled carpet should not be considered a contest of wet versus dry extraction. A professional technician can go at it using Gary’s workable steps, or use what I’ve shared here. Bundles of cash and headaches can be saved by “not allowing” wicking. Fritz Rench is the chairman of Racine Industries, Inc., manufacturer of the HOST Dry Extraction Cleaning Systems for carpets, grouted tile and other textured flooring products, located in Racine, WI. Let’s keep this simple. Really simple. That's how successful marketing should work. While there are thousands of good, in-depth, and detailed articles — just Google it and you will see — on how to create a solid, effective social media strategy for building a business and landing more customers, you must start somewhere. Starting simple and even keeping it that way is a concept that works for many, especially if you are the one doing not only the marketing but also trying to manage the company. As you think about your social media strategies, consider these points. It’s every marketer’s dream. His message gets posted and quickly gets traction and the attention of the marketplace. Most likely, an image was attached to the message. Ignite some action with your customers. Use images. You want them to see your message and spend some time engaged with it. Most of us scroll through our favorite social media sites hunting for videos that entertain. Your customers do the same. They want to laugh and be entertained. So, when you post videos, avoid being too stuffy. It’s OK to post funny stuff. Just keep it clean, and don’t overdo it. Toss in the occasional “here is something about my company” message. It can show your cleaning process or you speaking to the camera. It can be testimonials from happy customers. Consumer tips on anything related to cleaning or damage prevention does well. All of these should also be on your company YouTube channel for SEO purposes. Don’t overdo cross-pollination. If your potential or current clients see the exact same content on all your social media platforms, they may start to tune you out or, worse, disconnect from you on several of them. There’s nothing wrong with using the same message on a few social sites, but don’t make it a practice to send it out to all of them. Using a tool like Hootsuite makes it easy to do this. Think before you push the button. Use your favorite social sites as individual tools with unique messages. You want your customers to look forward to seeing your content. Ignite, entice, and embrace. Make your social media strategies pay off by using all three concepts. Your Customers Want You "On Demand"
Ordering cleaning services is starting to get as easy as ordering a pizza or other consumable. It's happening just about every day now. Everywhere I turn, everywhere I look, there it is. I can’t escape it. It’s like it follows me, knows I’m there. Perhaps the most intimidating of all, it knows what I want and will do next. No, it’s not the potential storyline for a horror movie. It’s something that you can probably relate to as well. I’m speaking of looking for and purchasing products and services off the internet. Now you are seeing those products everywhere you go. You hit the CNN page to catch the latest news, and…. there it is again! Same when you visit your local weather channel. And when you check the sports scores on Yahoo. That (insert product name here) is following you all over the internet, and we all know the internet is a vast wasteland of places to go. This is something I’ve harped on many times, once to a crowd of nearly 1,000 at an industry convention. What are we going to do moving forward when the trend is online, real-time ordering, while many of us are stuck in the “call us” attitude? When you get a customer to call you and you book a job, that’s great — your marketing is working. But how many jobs are you missing, not booking, because your potential customers are finding it easy to book online with one of your competitors? I’m not talking about an online form, often called a “web form,” in which you might get back to the potential client in maybe a day or two. I’m talking about real-time ordering, where your customers choose the type of work they want, see the price, and book the date and time that both of you are available. Here’s what I suggest. Do some research. Find an online, real-time ordering tool for your website and get it started. Your customers are wishing for — no, they are demanding — convenience. You can give them the convenience they want. If you don’t, they are just a quick click away from other cleaners in your area. But continue to answer the phone. There’s nothing wrong with those old-fashioned results. It’s all about supply and demand. When there is a demand, you have the ability to supply what your customers want and need. That would apply to both cleaning and restoration. For cleaning, the demand for services may rely on visual interpretation of a surface (Ick, it’s dirty!) or perhaps an upcoming event (The party is this weekend?). Or it could be based on a regular schedule, the absolute best scenario for you. For restoration, it is event driven. When there is a storm or property damage, restoration contractors are in demand. Sounds like a service industry, yes? It is… yet some of your current and potential customers may not see it like that. They may view you as — sit down and absorb this — a commodity. Like milk. Eggs. Rice. Socks. Notebook paper. The list goes on and on. You know, the stuff you can get at Wal-Mart. How does this happen? It’s partly the interpretation of what we do. Your customers look at your company and feel it is the same as all the rest. Like milk, eggs, rice… you get the picture. Wal-Mart stuff. Sure, there are brands they may prefer, but cleaning is cleaning and water damage restoration is water damage restoration. Everyone does it. What can you do to overcome this issue of being lumped into the commodity pool? That’s the real challenge. The first thing is to realize no matter who you are or what type of company you run, you must work diligently to stand out, to be different. It is no longer a game-changer that you are the best, technically speaking. Business owners realize that. In a recent Cleanfax online poll, 83 percent of readers said customer service was more important than technical expertise. Offering a guarantee isn’t good enough, either. You say you guarantee your work or they get their money back? Double their money back? Regardless, you are one of thousands that offer that type of guarantee. Having a good price, being on time, leaving a bottle of spotter behind… these are all good, but everyone does it. If you aren’t doing it, you should. Yet how much does it really set you apart from your competition? Instead, consider who you are and what your company does for people to make their lives easier and better. You start marketing that, and you will see a difference. You will be offering a service they want and need based on a personal touch. Don’t sell stuff. Instead, offer solutions they want and need. Be a consultant, a company they will remember and show loyalty to. No, you aren’t Wal-Mart. You are much more than that. Now, let your customers know. Jeff Cross is executive editor of Cleanfax. He can be reached at JeffCross@issa.com. What is litigation? Litigation is the term used to describe legal proceedings initiated between two opposing parties to enforce or defend a legal right.. and you should try to avoid, at all costs, a flooring dispute that results in litigation. That's the topic of the latest Commercial Flooring Report, published by Lew Migliore and Associates. Get your own ﻿PDF copy by clicking here! 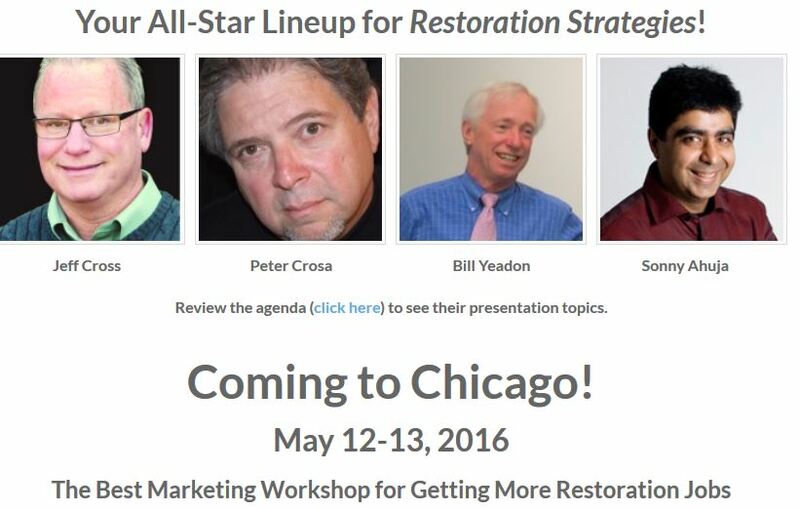 Restoration Contractors: Don't forget to sign up for the next RESTORATION STRATEGIES event! So there you are, at a business event with a pack of business cards in your pocket, balancing a plate of cheese, spicy meatballs and celery sticks in one hand with a beverage in the other. People are milling around or clustered in small groups. Someone you've never seen before comes up to you, introduces himself, sticks out his hand to shake yours, and … what do you do? What do you say? At this point, some people are mentally trying to find a hole to crawl into, while others are well-prepared and eager to shake hands with this person — if they can figure out how to get their drink and plate in just one hand and engage him in conversation. It's your moment to shine, to impress, to learn and to perhaps find a new prospect for your business. This is "networking," one of the most effective, least expensive marketing methods ever devised. Networking events are hosted by most Chambers of Commerce, trade groups and organizations created to assemble people to meet and learn about each other''s businesses. Business Network International (BNI), LeTip, and Leads Club are examples of national groups, and there are many regional and local organizations. While a few people are seemingly born to be "natural" networkers, most of us stumble and struggle through these events. But, you really don't have to stumble and struggle. Networking can be fun and profitable if you learn a few things about it and practice a little. Have a short, well-practiced, engaging, benefit-laden and curiosity-creating introductory phrase ready to deliver. Within a couple of moments, one of you will ask the other, "So, what do you do for a living?" If you are stuck for an answer, you lose. You might as well just take your business cards and go home because you haven''t done your homework. You aren't prepared. Whatever you say that describes your business, it must have a benefit associated with it. If you say "I clean carpet," the networking referee will blow a whistle to give you a penalty. Look, all carpet cleaners clean carpet … what makes your company special? Why should the person you are talking to use you? This conversation is not only about you! Networking is a "give and take" activity. It takes both of you to communicate to see if either of you has something the other one wants or needs, so ask questions and give the other person the opportunity to talk. They might have products and services you need to buy. I have met a number of excellent vendors at networking events, including my financial planner, accountant and handyman. Some have also become my clients and referral agents. Don't expect to make a sale now. Expect to start a relationship that may develop into a sale in the future. Some of these relationships can go on for years before they have need of your services. Have a system in place to follow up with your prospects — immediately. The person you are talking to will meet a number of other people at the event you are attending. It is very easy for some of them to forget you and, when they go through the business cards they have collected, it's very possible your business card ends up in the trash. If you want to build that relationship, it is up to you to make each person remember you and what you can do for them. Just giving out business cards isn't enough. The people you meet may not need your services for a long time. In our busy, multi-tasking world, most people will not remember you unless you continually remind them. You can send e-mails, postcards, letters, contact them with telephone calls, etc. — anything to keep reminding them that, when they need or want your service, they should call on you. That's it, six rules for successful networking. Please realize that almost every person you meet has a need for your services. Most of them can afford your services and they will use the people they know and trust to give them quality craftsmanship, excellent service and full value. The more people you know — more importantly, the more people who know you — the more people you will have for customers and referral agents. The logic is simple but, like most things, the implementation and execution are difficult. The performance difference between companies (and sports teams, educational organizations, non-profits, professional firms, etc.) with high standards compared to those with lower, or no standards, is amazing. It is visible to a casual observer and very obvious to customers and prospects. The difference is apparent when seen in person – like walking into a store, office, warehouse, even the parking lot. It’s apparent in the way the telephone is answered, by a smiling, engaged voice or with a flat, dull attitude. I could use all the space on this page to continue to list differences between high and low standard companies but you undoubtedly can list them also. High standards start at the top. The leader sets those standards and communicates expectations to the key people who then communicate them throughout the organization, whether the whole organization consists of one person or thousands. They train people on the standards, create metrics and review procedures to insure the standards are maintained and enforced. If, or when, it is found that standards are not being maintained, remedial action is activated. I know this sounds simple, but it isn’t. It takes a constant, never-ending effort to accomplish year-in and year-out. But the benefits are enormous. In general, businesses (et.al.) with high standards enjoy higher customer satisfaction and greater customer loyalty, lower levels of staff turnover and a happier workforce, better reputations and more referrals, and higher profit margins which allows for greater investment in growth because customers are, typically, willing to pay a little more to get the results and benefits of those higher standards. The result is a more sustainable, more profitable and more enjoyable business for all concerned. All that said, assuming leadership is able to create and articulate those higher standards, it has to be realized this isn’t a “snap-the-fingers-and-it-happens” project. It takes patience, fortitude and gumption to get higher standards in place and achieved but when it works very good things will happen. Larry Galler works with business owners to create management and marketing breakthroughs. Sign up to subscribe to his weekly newsletter and newspaper column at www.larrygaller.com. In this time of digital advertising, it can be tough to grab and hold on to the interest of consumers. As people turn to Google, Yelp and other digital media, they are fully aware that they can easily jump to a competing service company in a matter of seconds. The public’s attention span shortens by the day. In our quest to command customer attention, it is now more critical than ever to use new tools and techniques in our marketing to stand out from the crowd. Consumer gift cards can empower your advertising and marketing to grab the interest of your audience. They change the plain traditional incentive discounts into fresh, fun and exciting gifts. Instead of the old and dull “20% off” discount, you can offer a gift of a $25 Visa shopping spree, night out at the movies or coffee with friends at Starbucks. Dollar or percentage-off discounts are forgotten by customers seconds after they are offered. Gift cards on the other hand are tangible items they can hold and think about. Customers will put them in their wallets and remember that there is a good time waiting for them when they put them to use. When they are redeemed, it’s hard to not think good thoughts about the company that gave them the gift. If I had the choice between two otherwise similar companies, where one offered a $25 discount and the other a $25 gift card, my strong desire to get free stuff draws me to the one offering the gift card. Sometimes the consumer appointed with the chore of selecting a service company is not the one responsible for paying the service bill. In this case, a gift card becomes a bonus treat to the person making the choice. In this scenario, the companies offering traditional discounts don’t stand a chance. Gift cards can also radically change the effectiveness of referral reward programs. Instead of the common discount-off of future service, these cards instead offer a fun reward which clients can actually visualize enjoying. They create a far more powerful motivation for them to mention your company to friends. I can imagine some people are now thinking about how expensive it will be to purchase a big handful of gift cards. If this is the case for you, you have proven my point. You see cash value in the gift card, but not in your own man hours. Many owners do not consider cash-off discounts to be real money. Consumers often think along the same lines. Since the discount is subtracted before the final invoice total is calculated, it is easy to pretend it never existed. The truth is that every dollar you have given away as a discount would have been pure profit if you had gotten the job and not given away the discount. Ultimately, there is no difference to the company bottom line of profit whether you offer a discount in the form of a gift card or give it away as a discount off the total amount on the invoice. Please be aware that some gift cards have restrictions for use of their copyright brand. For example, I found that Starbucks would not allow me to use their name and logo in my advertising to the public. So instead, I chose to offer a generic “coffee gift card” in my ads. On the other hand, I was allowed to use their name and logo when communicating with existing customers. In those cases I offered a “Starbucks gift card” as a referral reward. To find out if a branded gift card has any advertising restrictions, you only need to send the corporation an email and ask. I found it most effective to present the advertising incentive gift card at the time the invoice was paid at the consumer’s home. If the consumer was mailing me a check following the job, I would return a thank you card and include the gift. When I use a gift card as a referral reward, I send it out along with a “thank you for the referral” card as soon as the referred job is completed. Using gift cards as purchasing and referral incentives is easy to do. Few, if any, of your competitors are taking advantage of this fun way to offer discounts and rewards. This tool allows you to stand out from the crowd of service companies battling to grab the attention of consumers. Making a little bit of effort to incorporate this powerful incentive will be well worth it. Steve Marsh is a 40-year veteran of the carpet cleaning industry, an instructor and a Senior Carpet Inspector. He helps home-service companies quickly establish profitable clienteles and then progress on to serve higher quality customers. To help companies achieve these goals he created the step-by-step programs Single Truck Success and Be Competition Free. For more information, visit www.professional-carpet-cleaning-service.com.